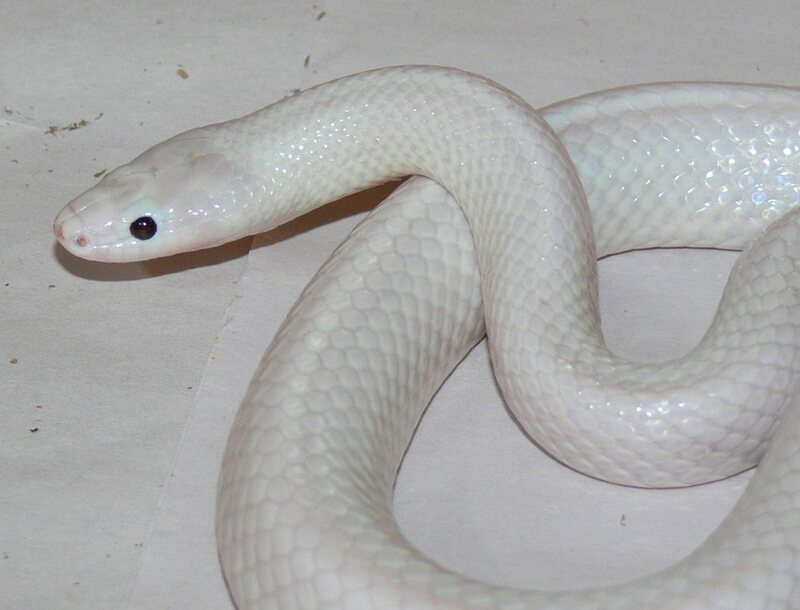 A white snake with an 'incredibly rare' genetic mutation that left its skin a luminous pearly white color was recently discovered in Australia. According to Territory Wildlife Park in Berry Springs, the Slate Grey snake, which is native to Australia, is usually dark brown or black in color. So instinctively, a citizen who spotted this gorgeous creature immediately brought it to a park official to ensure its safety. 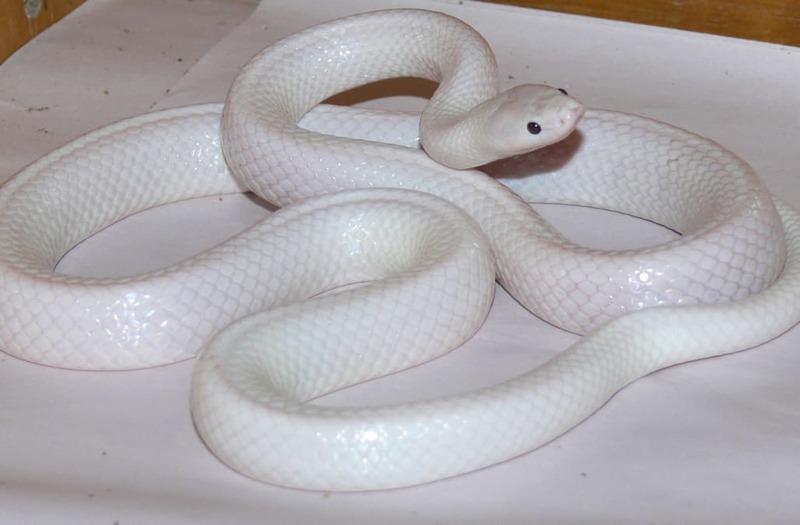 According to the Mirror, the snake's lack of pink eyes indicates it is not albino. 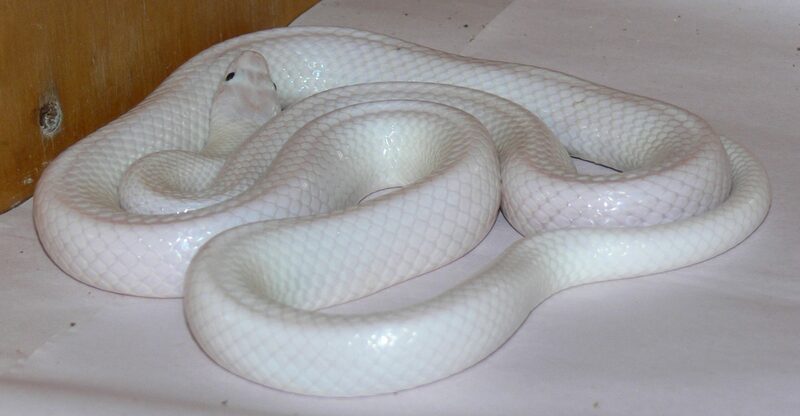 Rather, the reptile is described as "leucistic," which is an even less-frequently observed condition characterized by a loss of pigment in the skin but not the eyes. Simon Ferguson, the visitor experience manager at Territory Wildlife Park, told the Daily Mail that the incredible reptile -- which has been lovingly dubbed Lucille -- is the first, and so far only, example of her kind ever recorded. Experts are shocked the 2-year-old snake was able to survive for so long in the wild, considering her coloring robs her of her species' natural ability to camouflage, leaving her extremely vulnerable to predators. Territory Wildlife Park took to its Facebook page on June 16 to share photos of the snake and to reassure fans that it would be properly taken care of. "The nocturnal snake will be placed in quarantine at the Park to ensure it is free of any nasties that can harm our other animals and then be put on display for everyone to marvel at," it wrote.